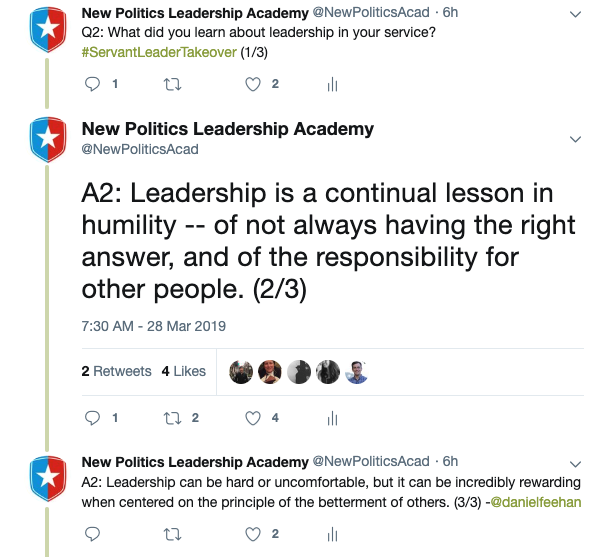 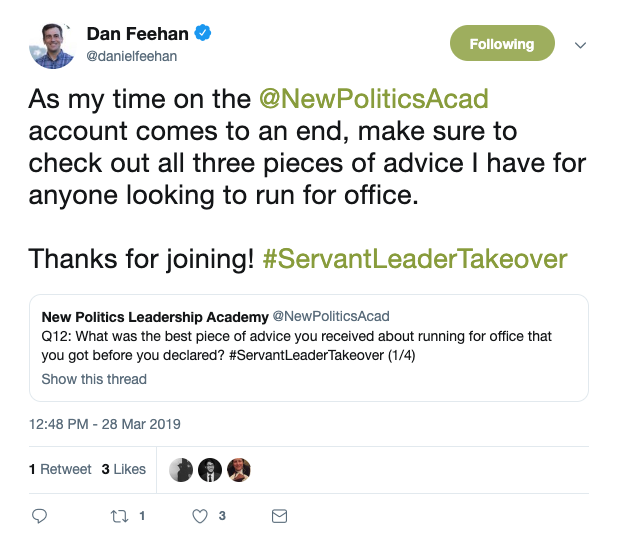 On Thursday, we were joined by Army veteran and former teacher, former Minnesota congressional candidate, and New Politics Senior Fellow Dan Feehan for the latest #ServantLeaderTakeover. 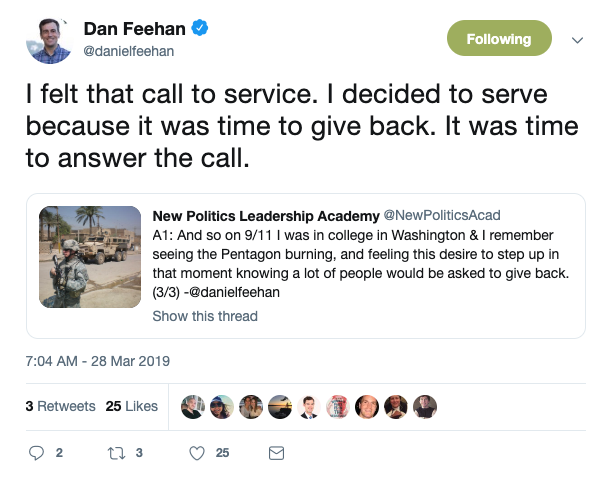 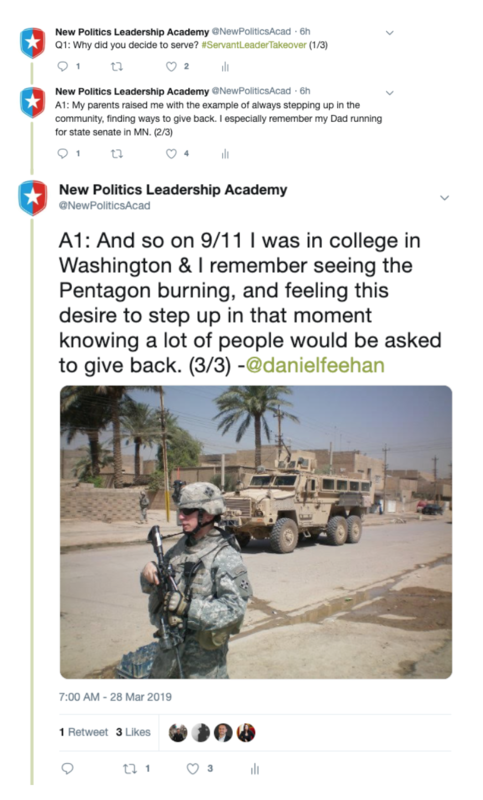 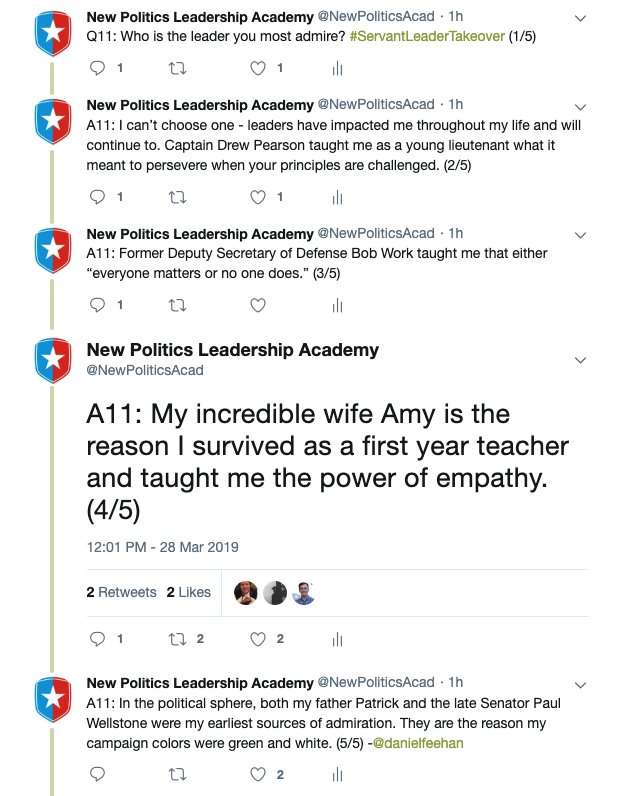 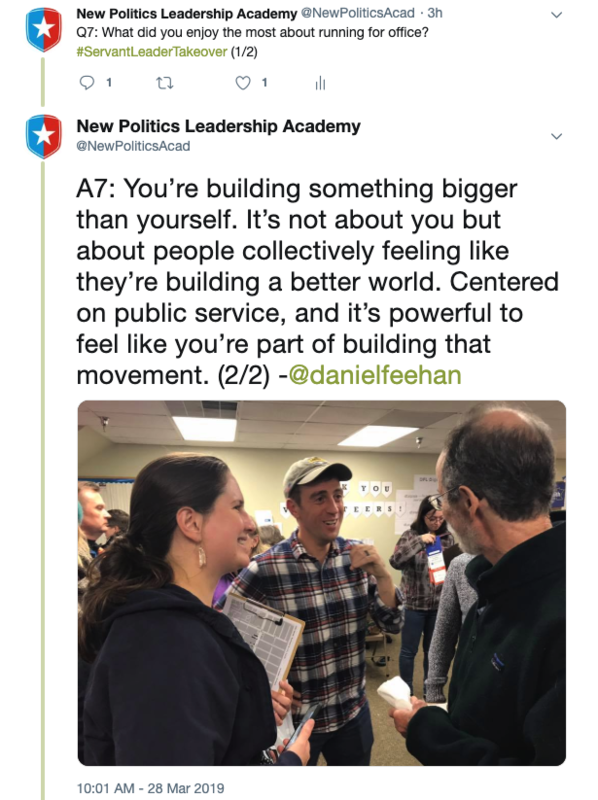 Dan shared insights in leadership from his service career, which has taken him from the Army to the classroom, and from the Pentagon to the campaign trail. 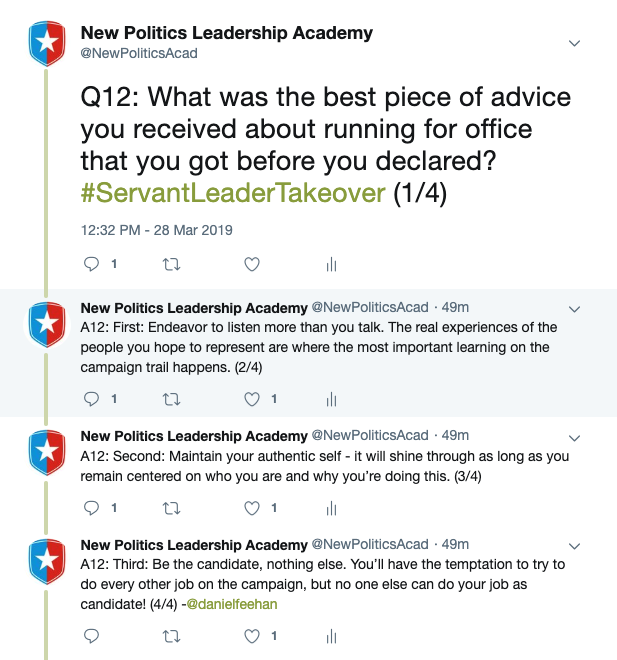 He had some great insights into what servant leadership is all about and what servant leaders should do before they run for office (hint: gain clarity, something our Answering the Call helps you do! 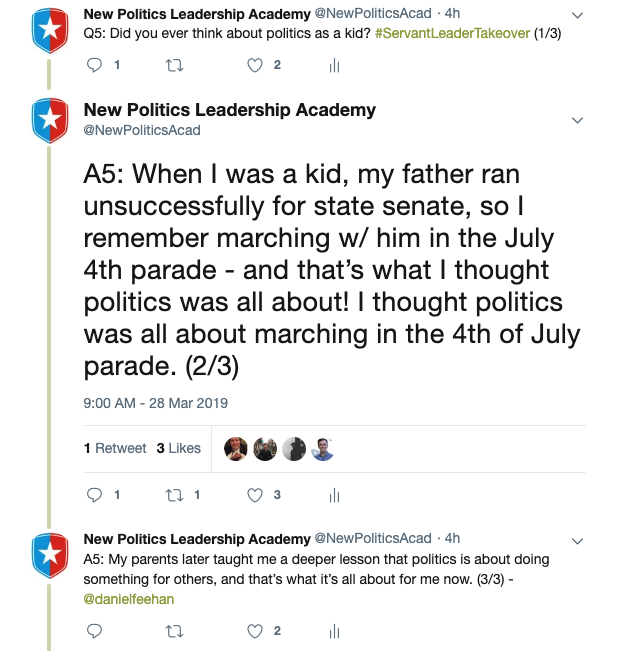 ), as well as a funny anecdote about the role of parades in politics. 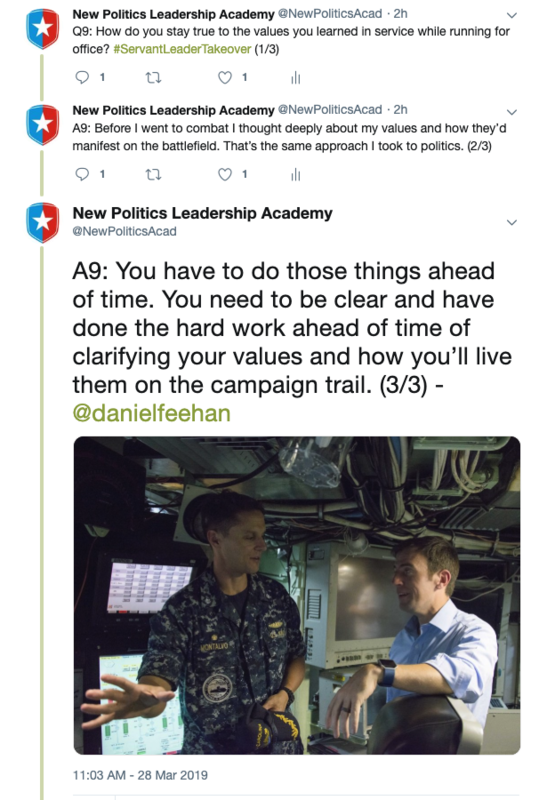 Check out the whole thing below the break!